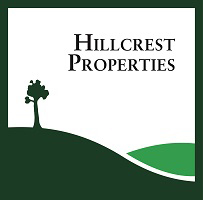 Hillcrest Properties is a full Service Real Estate Company. -Selling Your Current Home-A Regular Sale or Short Sale (we have closed several Short Sales and can help you! Single Family Home in Burbank on a BUR3 Lot! 3 Houses to the Chandler Bike Path. Walk to Porto's Bakery!! Beautiful Pool Home in Valley Glen!! 3BD + 2BA 1,687 sq ft.
Well Maintained Duplex in North Hollywood!! Great for Owner/User!! 2BD + 1 BA in Each Unit. Each Unit has its own gas and electrical meters. 3 Separate Units 1BD + 1BA, on Chandler Blvd. Devonshire Street, Northridge Almost a 20,000 FLAT square foot Lot!! Serving California: The San Fernando Valley, Simi Valley, Conejo Valley, Oxnard, Ventura and the Westside!